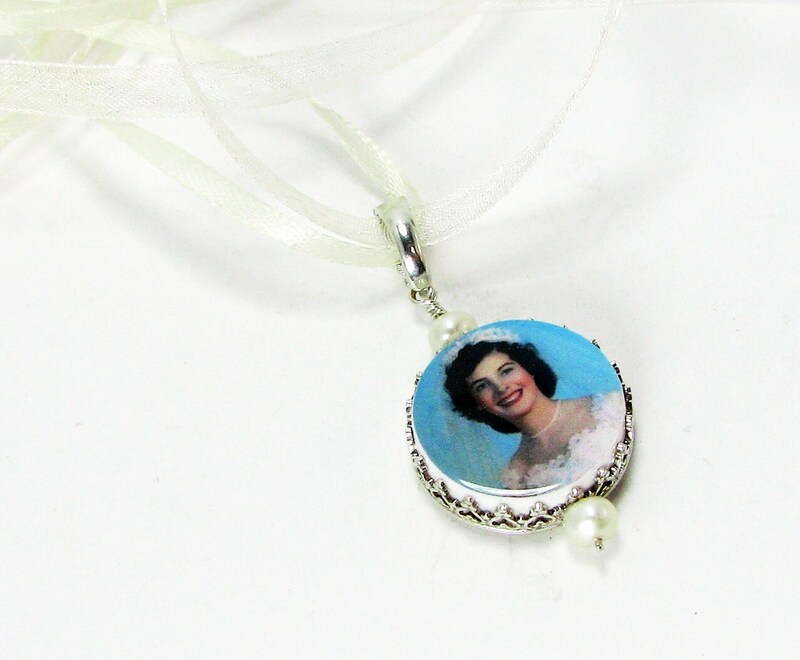 Small Photo Memorial Charm for your bouquet with a Sterling Frame. 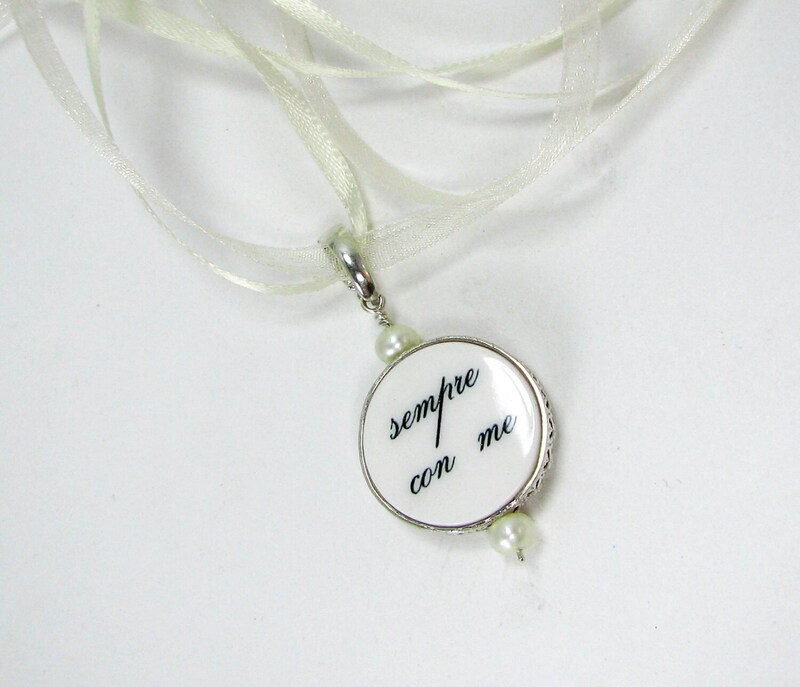 This is a two-sided, round bouquet charm that is .75" across and the perfect size to be worn as a pendant after your big day. 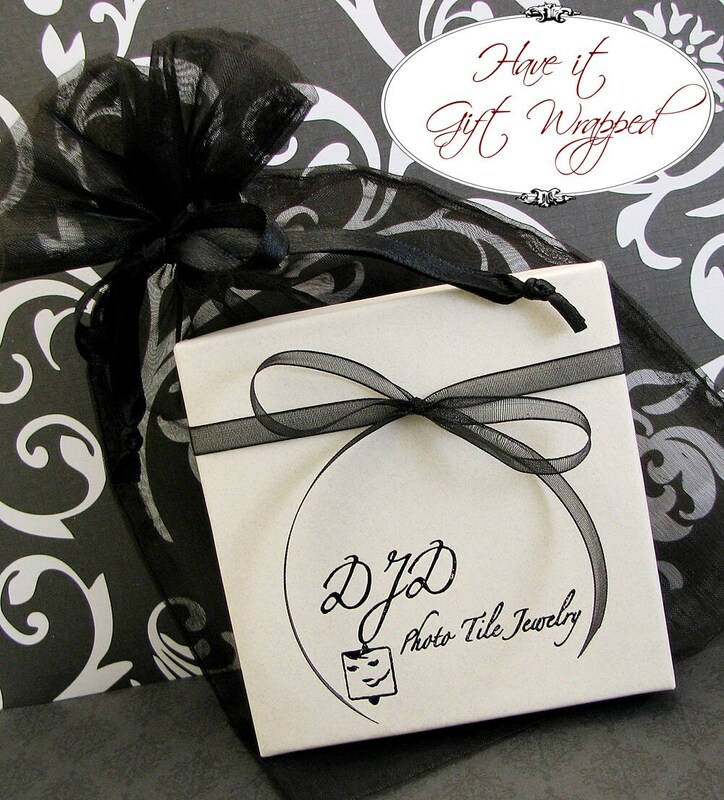 It comes on a long strand of white or ivory organza ribbon; simply include your color preference with your image(s). 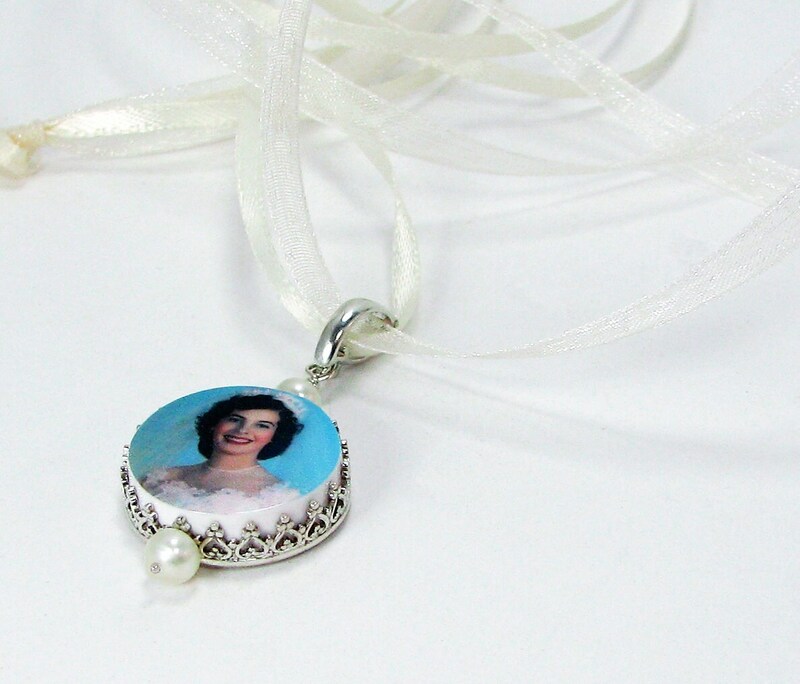 This photo charm is designed to display one photo on the main side, and a second image, or a custom designed text image on the back. 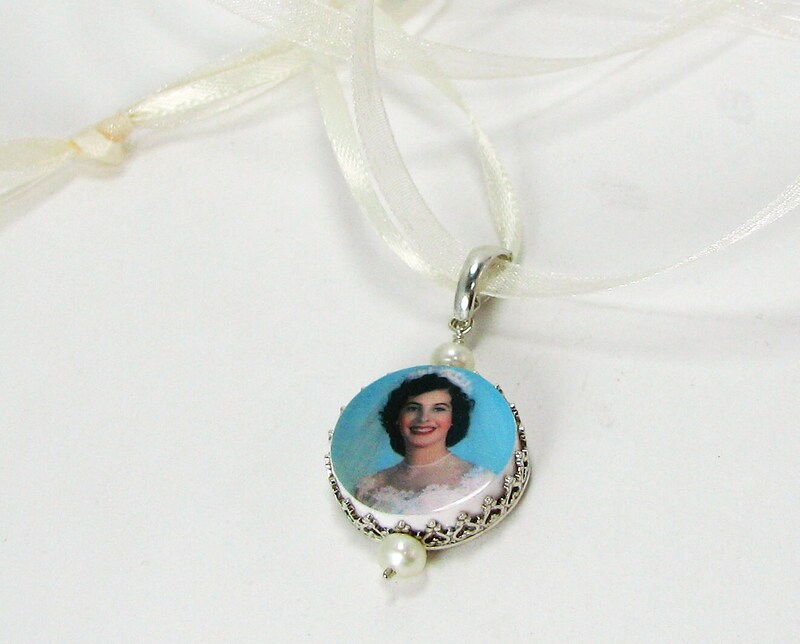 It comes with creamy/white freshwater pearls on the top and bottom and makes a stunning pendant after your ceremony.